At both Scobies Dulwich 020 8693 2755 and Scobies Wandsworth 020 8672 3392 we pride ourselves on our hand finishing, end presentation and range of services. Each garment or item we receive, is carefully treated and cared for from the start to the finish of our detailed cleaning process. We are the only London dry cleaners to use to use an environmentally friendly solvent called Hydrocarbon, it is odour free, colour safe, shrinkage free and the mildest and the safest solvent suitable for fabric use. We offer a specific Collection & Delivery service for customers from either home or place of work. 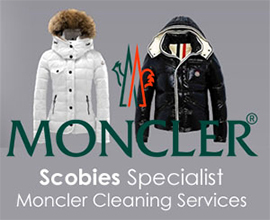 If you are unable to find the time to take your garments to either one of our branches, please call 020 8693 2754 or email us at scobiesvalet@btconnect.com and we will collect* your items for cleaning and return them in pristine condition.